SphereOptics diffuse reflectance targets are made from our proprietary Zenith Polymer and Spectralon reflectance material. This highly reflecting, PTFE-based material is resistant to heat, humidity and exposure to high levels of radiation, making it ideal for use as reflectance targets. Those Targets have a thickness of 10 mm and can be mounted in a frame to be fixed easily. 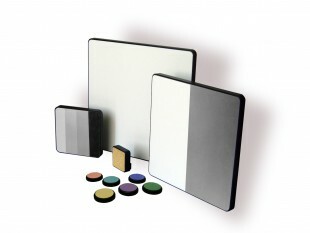 On customer request, the targets can be made in different sizes and reflectivities.